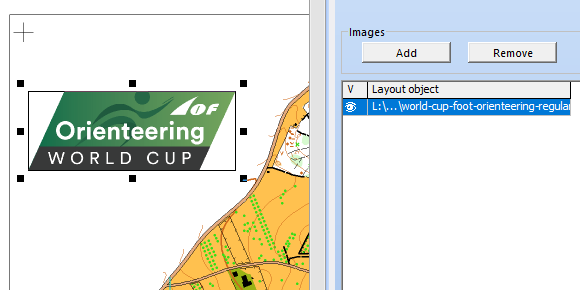 With OCAD, you can easily add Logos from Events and Sponsors to your Map. Click on Edit Layout Objects in the Layout Menu to add an Image in JPG or PNG format. You can easily change the size and position of the Logo. The Layout function can be used in your Map Project or in your Course Setting Project. When you export a PDF, the Map will be saved as vector and the Logo as raster. Please note that most Logos will be shown properly only with CMYK printing. Spot Color printing is not compatible for Logos with Color Gradients. This entry was posted in OCAD 2018 and tagged Course Setting, Layout, Logo, Orienteering Map Making, Professional Map Making on August 22, 2018 by OCAD Team.